If you’re about to give a patient an injection or are preparing to draw their blood, you might not feel there’s much to discuss about the minor procedure. But a few reassuring words and a brief explanation of the process can help decrease your patient's anxiety and make them feel more at ease. 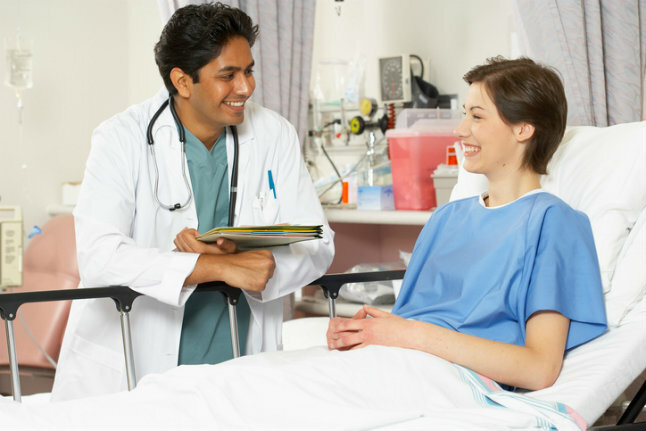 In addition to explaining treatment procedures to your patients, invite them to ask questions and take a direct role in their care. One of the biggest stressors for a patient during a doctor’s visit or hospital stay is the feeling of a lack of control. When patients are encouraged to voice their concerns and offer their input, it not only helps them feel more comfortable with the process but it can also help you provide better care since you may gain additional insight into their condition. Using a topical anesthetic can reduce the sting of procedures that involve needles. However, many healthcare providers assume an anesthetic isn’t needed since the procedure will only take a few seconds. But the simple act of applying a topical anesthetic to reduce the discomfort associated with needle procedures can go a long way for patient comfort. If you’ve been looking for a simple way to improve your patient satisfaction scores, focusing on patient comfort during minor procedures offers a simple way to accomplish your goal. Johns Hopkins researchers discovered the odds that a patient was satisfied with the care he or she received were 4.86 times greater if his or her pain was controlled. The next time you’re performing a needle procedure, be sure to consider the three tips above. Topical anesthetics in single patient packages offer a personalized way to improve comfort for hospital patients. For answers to all of your questions, download our free guide, Pain Ease Single Patient Package: Your Top 10 Questions Answered.